Doors: they have been around for as long as mankind has been building domiciles to escape and isolate him from the elements. And while doors do serve a pragmatic function, separating your private space from the rest of the outside world, from a purely architectural standpoint they also provide the potential homeowner with a myriad of design possibilities to spruce up, divvy up and/or completely re-conceive a living space. Naturally, interior designers could not help but take advantage of the common wood door, introducing new twists on the old standard. The traditional wood-framed and wood paneled door, hand-carved throughout most of the early part of the 20th century, eventually gave way to more ergonomically sound and protective metal and vinyl alternatives. Solid doors were replaced by partial or full lead glass alternatives, above all else, still meant to provide decorative, as well as practical usage for which the door was originally intended. In the mid-sixties, designers began to move away from the door as a viable divider of interior spaces, electing instead for arched alcoves to suggest a cavernous split between two rooms. 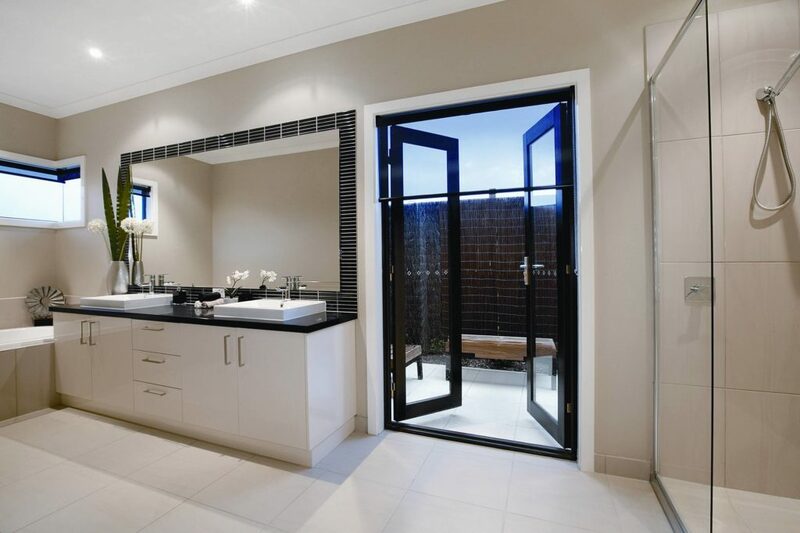 In the 1970’s doors were readily being replaced by half-wall dividers, and in the late 1980s and beyond, the introduction of the ‘open concept’ lifestyle virtual eliminated doors from most communally shared interior living spaces in the home; save bedrooms and, of course, the bathroom. Please – leave us some false modesty to cling to! 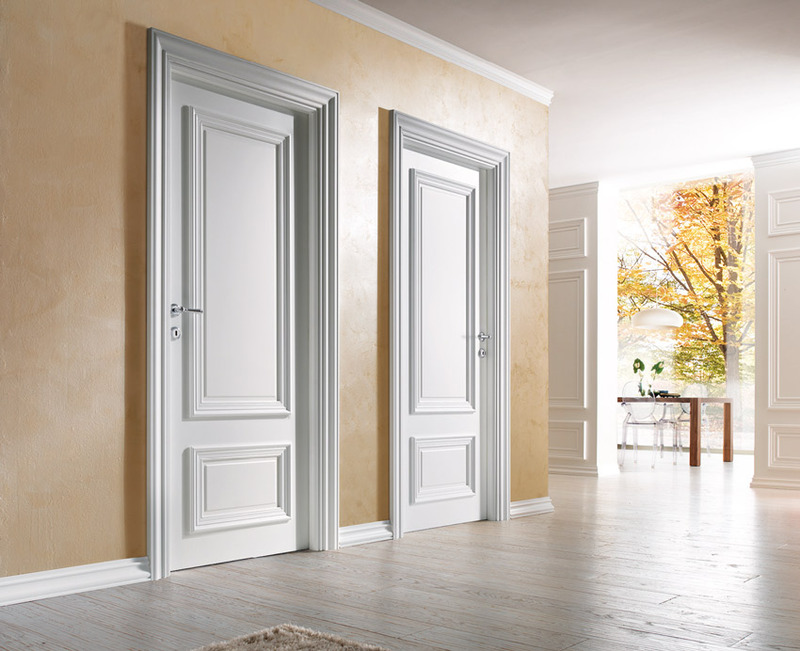 Today, however, doors are making a daring comeback; esthetically pleasing, shockingly diverse, and of as many varying shapes and sizes to conform to virtually any aesthetic in the designer’s handbook. It is high time we say goodbye to the patio door; that once revered, oft installed, and generally unattractive double-paned contraption, hideously adorned in clumsily concocted vertical blinds. Patio doors were supposed to provide us with the comfort of a bright and breezy, wide-open space on which to sit and admire the great outdoors. Instead, they have systemically given homeowners colossal headaches as to how best offset their liberating expanses with decorous alternatives. After all, you can’t just leave a patio door plain. There is nothing about a patio door that suggests elegance by itself. And no, the neighbors will not appreciate seeing you strutting about in your wife-beater and Valentine red polka-dot boxers. ‘But I don’t want to hide my door’ you say. Neither do we. Ironically, the answer to your woes has always been right under your nose; or rather, a part of the design aesthetic for centuries. What is this miracle of design, you ask? French doors, naturally. Actually, French doors have very little to do with France…well, sort of; originating in their purest form as part of the 16th century war between France and Italy, and even before, as holdovers from the Italian Renaissance, pillaged in conquest and taken, along with other spoils, back to France where ancient Roman architecture and influences suddenly became ‘the rage’. Because the Renaissance focused on symmetry, proportion, regularity and geometry, akin to ancient Roman architecture, there was weighty emphasis on light, leading to the introduction of glass panes. The French preferred these floor-length moveable windows to their own single, solid doors. Quickly adopted, ‘French’ doors became the ideal, easily accommodating Paris’ pocket-sized balconies while letting in oodles of ambient sunlight. Imagine: a door that also could serve as a window. The idea was revolutionary – then. And the French, God bless ‘em, were quick to give the Italians a run for their money, discovering new and oft garishly ornate ways to add even more detail to their design aesthetic, framed by elaborate wood, granite and stone-carved archways. Plain solid wood gave way to wrought iron stylization while advancements in the glass industry allowed for more intricate inlays of glass, neatly divided into panes and as gingerly imbedded into wood frames. Prior to electric lighting, the interior glass-cut French door allowed for natural light to filter into hallways and illuminate interiors for longer periods of the day. Such decadence knew no boundaries and quickly, and somewhat facetiously it led to the ‘French door’s’ downfall in popularity…at least, in France. 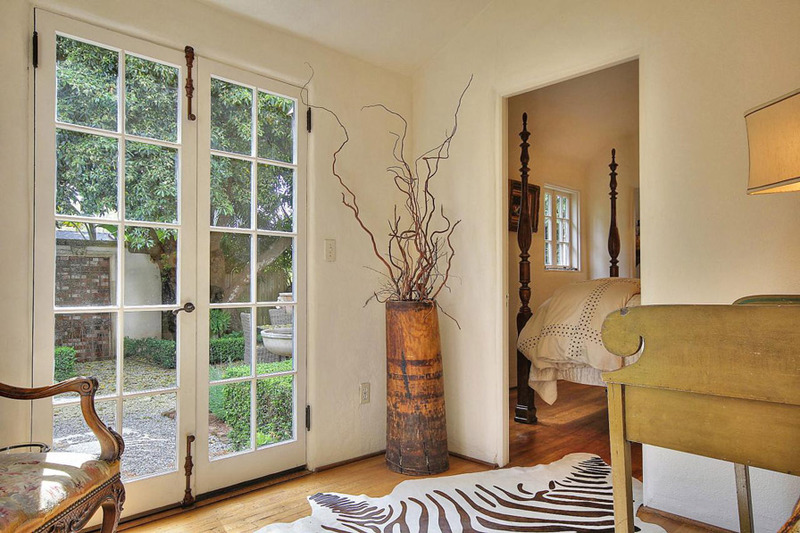 By the eighteen-century, the French door was considered passé. After all, every Frenchman had at least one set to his name. Over the next few centuries, French doors made their way from England to America and into virtually every room in the house, providing charm, splendor, openness and, above all else, pragmatic ways either to enter or leave a room. For some reason, the French Doors’ popularity waned in the mid-sixties. As windows grew in size and shape, it seemed the French Door had had its day; replaced mostly by the patio slider. But you know what they say about a classic: it never dies, or rather, gets re-assimilated, rethought and revised; once again turning up in both home and office architectural designs. On the home front, and as a prelude to some exterior living space, modern French Doors convey a sense of connectivity or bridge between the indoors and out; the perfect complement, beckoning to fountained courtyard oases, cozily appointed gardens, interlocking brick patios or spacious swimming pools; a uniquely tailored look with an aura of sophistication and sensuality, the likes of which no plain patio door can hope to compete. The placement of well-thought out French Doors in any home allow for the natural ebb and flow of foot traffic without closing off options to explore various living spaces; transforming rooms into bright and breezy sanctuaries of natural light and also providing breathtaking views of the great outdoors lurking just beyond. Because French Doors really do function both as windows of opportunity to explore adjacent rooms and/or outdoor living spaces, they infuse a dramatic sense of spaciousness to preexisting rooms that might otherwise have gone unnoticed or been denied by more conventional dividers. 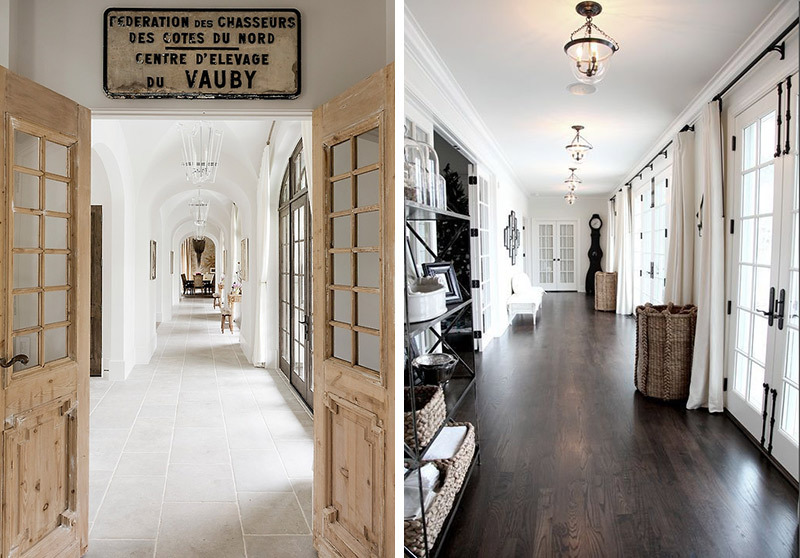 As such, their versatility trumps an open archway or standard connecting door between two rooms. Better still, the modern French Door has come a very long way, reinvented with either sliding or louvered options for those desiring the look and appeal, but with limited space at their disposal. Further still, the French Door conveys a sense of heritage and tradition, adding grace and charm to most any room in the house; transforming a functional piece of architecture into an extraordinary and memorable breezeway. Featured in as many different styles as species of wood, the French ‘patio’ door is not only beautiful to look at, but also surprisingly energy-efficient, delivering great home security with its multi-locking systems and optional swing, either out or in to accommodate preferences and/or limitations in space. 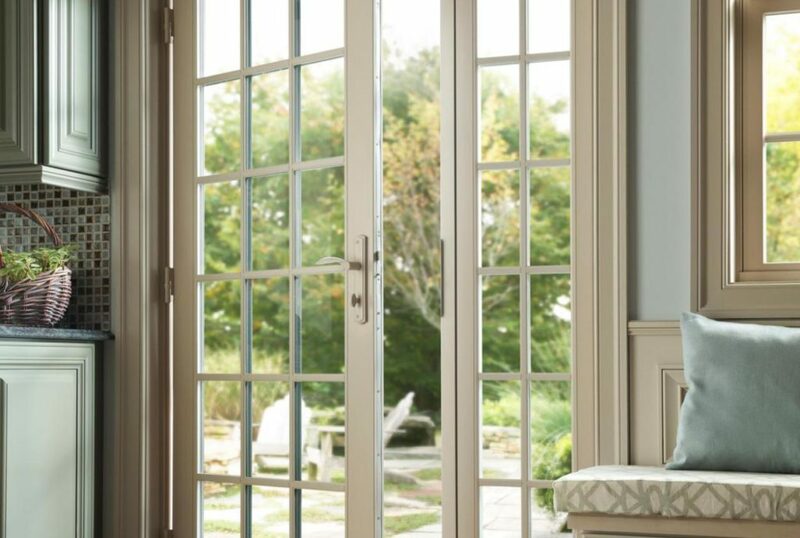 Today, there is a style of French Door to compliment virtually every architectural design element in your home; a stunning array of glass options too, from frosted to beveled lead and beyond. 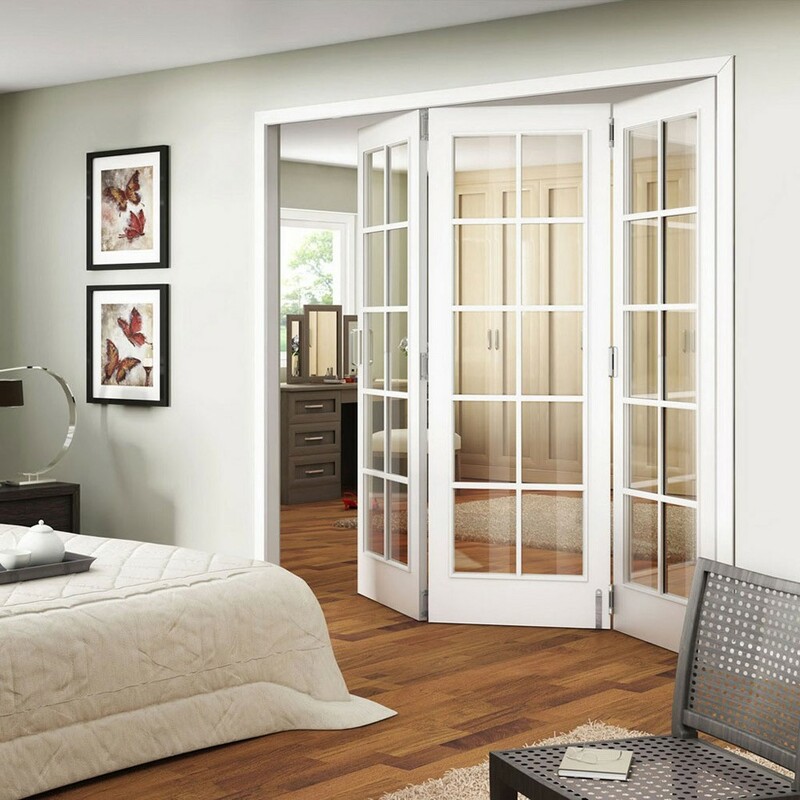 Better still, the sliding French doors conveys the long-established warmth of a standard French door without taking up as much space. Traditional French Doors hark all the way back to the 16th century in their design. But today their exquisiteness and versatility have been improved upon with added safety features and new technologies to keep the elements at bay. 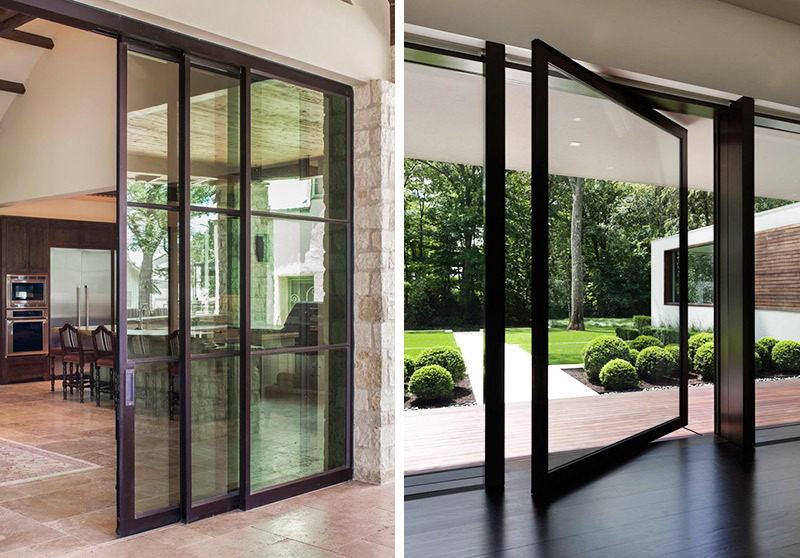 For sheer elegance and ease of use, consider the oft overlooked French sliding glass door. Unlike its double-hung predecessor, the slider combines the benefits of extra-wide stiles and durable bottom rails, with a multi-lock security system, opening up a traditional living space to outdoor vistas with an innovative and space-saving result. The double-paned option also adds an additional layer of sound-proofing, comparable to a solid exterior wall. There are even options for ‘impact-resistant’ glass and frames engineered to hold up against the most rugged coastal wind shear and storm surges. Framed on quiet rollers and furnished in sealed edges, interior sliding French Doors lend multiplicity and modernism to the design philosophy of any room, and can come with linen, frosted, or mirrored glass to offer additional ‘partitioning’ for privacy. 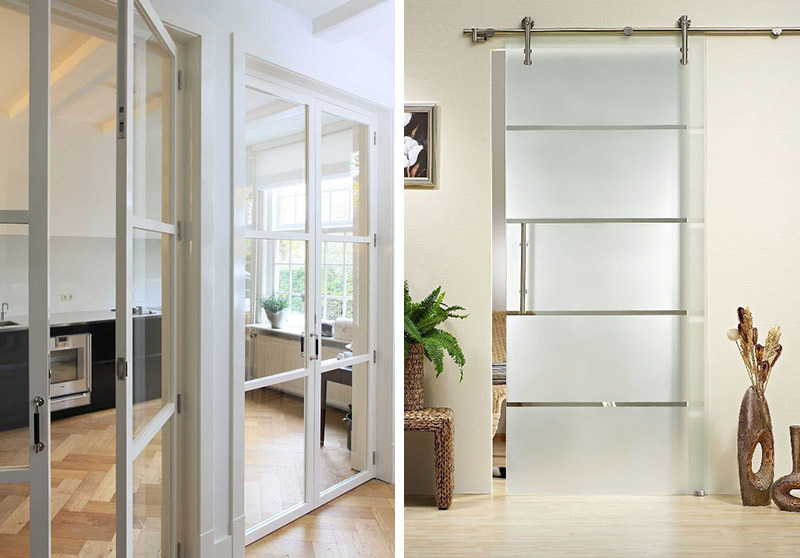 For those with bolder tastes, consider the sliding glass pocket door. It recedes seamlessly into the wall. Loft dividers also take advantage of existing interior light while parting limited square footage into restful, purposeful spaces. 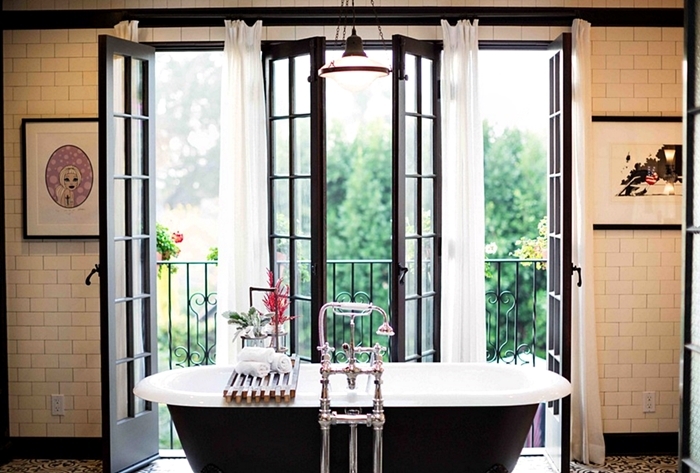 For centuries, French doors were considered the epitome of sophistication. Today, their bravura and modishness knows no boundaries. Even the old Bi-fold (French doors of two to four sections that fold into pairs and once primarily considered suitable only for closets) have been updated, creating startling apertures in both new and preexisting spaces in lieu of a brick and mortar wall. 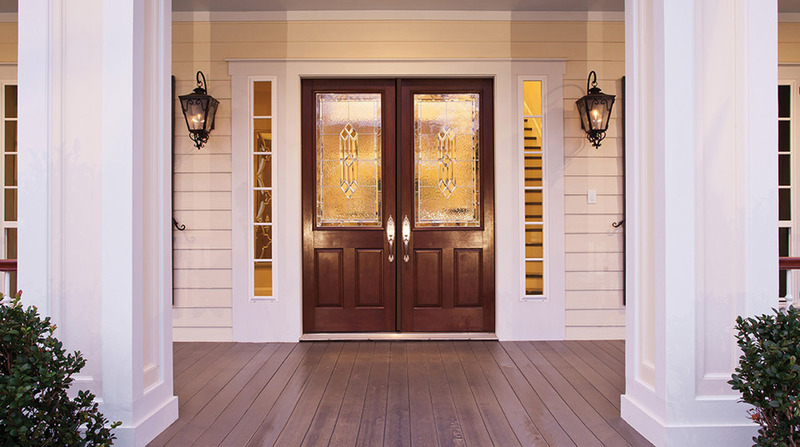 Moving well beyond the Victorian tradition, for which they were first and justly popularized in North America, today’s French Doors offer nothing less than absolute versatility. Stylish, classic, charming and generous with their appeal and versatility, today’s French Doors are not only an enduring and memorable part of our architectural heritage, but innovative and ever-alluring for today’s connoisseurs of gracious living. Mais oui, and, absolument…the Venetians would be so proud!